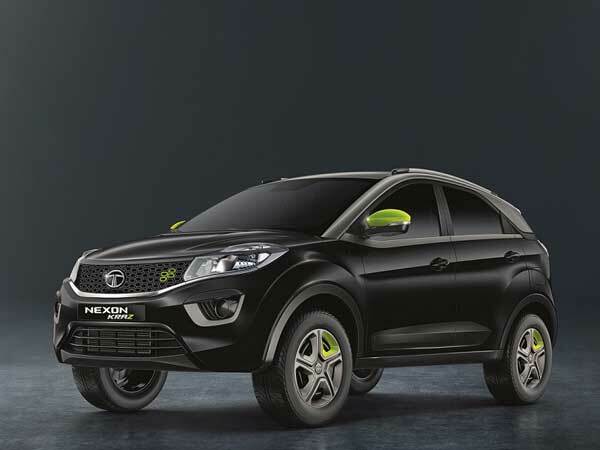 Tata Motors, India’s biggest automaker by revenues, on Wedn­es­day introduced limited edition Nexon KRAZ (pronounced as craze, /kreiz/), to mark the first anniversary of the Nexon brand and push sales during the festive season. The Nexon obtained a 4-star rating, adult safety score (13.56/17.00), which is claimed to be the highest amongst all the models tested across the Indian market by the Global New Car Assessment Programme and said to be the safest SUV tested by Global NCAP. With a starting price of Rs 7.14 lakh, Nexon, the compact sports utility vehicle competes with the established products like the Maruti Vitara Brezza, Hyundai Creta and the Ford EcoSport. The new variant with a neo-styling design treatment on the outside and inside will be available in two variants Nexon KRAZ and KRAZ+ at a starting price of Rs 7.14 lakh for the petrol version and Rs 8.07 lakh for the diesel version. The entire Tata Nexon range is priced in the range of Rs 6.20-10.61 lakh. The Tata KRAZ limited-run variant slots between the Nexon XM at Rs 6.92 lakh to Rs 7.84 lakh and Nexton XT trims at Rs 7.54 lakh to Rs 8.41 lakh in the compact SUV’s line-up. It also gets minor cosmetic changes and more equipment to differentiate it from its standard brethren. Compared to the Nexon XM variant, the Nexon KRAZ is better equipped and adds a four-speaker infotainment system by Harman with Bluetooth compatibility, steering-mounted audio controls, electrically adjustable wing mirrors and reverse parking sensors. Also, the KRAZ+ gets roof rails, power-folding wing mirrors, a cooled and illuminated glove box and an automatic climate control system with rear AC vents. Mechanically, there is nothing to distinguish the KRAZ and KRAZ+ variants from the standard Tata Nexon trims. The same 110 HP, 1.2-litre petrol engine and 110 HP, 1.5-litre diesel engine mated to a 6-speed manual transmission, powers the car. The car is equipped with multi-drive modes: Eco mode, City mode and Sport mode. “To attract customers with active and sporty lifestyle, the Nexon KRAZ has been designed to set a new trend in the segment,” Mayank Pareek, president, passenger vehicles at Tata Motors, said. Since launch in September 2017, the Tata Nexon has received a good response and today is among the top five selling compact SUVs in the country, he pointed out. These are Maruti Vitara Brezza, Hyundai Creta, Mahindra Bolero, Toyota Innova and Maruti Ertiga.